Alyansa has the resources to assist our client’s full financial affairs. Our in-house team is comprised of experienced accountants and accredited financial adviser; whilst our network of professionals include dedicated lawyers, lenders and an investment advisory team. We consider your specific needs and provide and recommend suitable financial solutions. We give you an honest and direct answer, so that you can truly evaluate your options; to make appropriate financial decisions. Alyansa is a CPA practice, with a range of accounting clients including consultants, health professionals, financial service providers, hospitality and business owners. Our clients value practical business advice. Tax minimisation is a starting point, with a discussion on ultimate goals of the business, a consideration of budgeting and succession planning. We are proactive in our advice and our approach. We utilise the latest cloud accounting technology to manage our client affairs. This includes Xero, BGL360 and Office 365. Aside from our focus on small business, we have a specialty in Self-Managed Superannuation Funds (SMSF). We look after the annual compliance of our SMSF clients and also provide independent SMSF audit services to external accountants and their SMSF clients. For the management of a clients whole financial affairs, we have a full financial planning licence. Alyansa Financial Planning is the entity which delivers financial advice to clients for their budgeting, retirement planning, investment review and insurance recommendations. Vincent Icasiano is a qualified CPA, CA, SMSF Registered Auditor and accredited Financial Adviser. As a CPA and CA with years of experience, Vincent is well placed to assist clients with their tax and accounting matters. Being a business owner, Vincent relates to the challenges faced by small business and the opportunities available. SMSFs are valued for their flexibility and control. SMSFs are an ideal vehicle to develop a retirement strategy, build wealth and put funds aside for the next generation. To provide a full financial service for clients, Vincent has taken a full financial planning licence and is an authorised representative of HNW Planning. CPA Australia is one of the world’s largest accounting bodies, with a brand that is widely recognised. 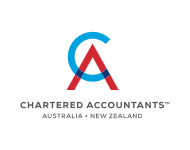 Chartered Accountants are trusted leaders in accounting and finance, with a long standing reputation in the accounting profession. HNW Planning is an independently owned provider of financial services, with a full range of solutions from detailed financial advice, insurance and investments including direct shares and property. LinkedIn is the leading online network for professionals.